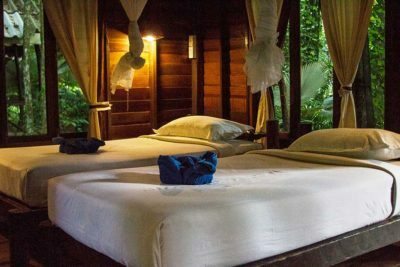 Day 1: Arrive Khao Sok Riverside Cottages for check in and be shown to your room. 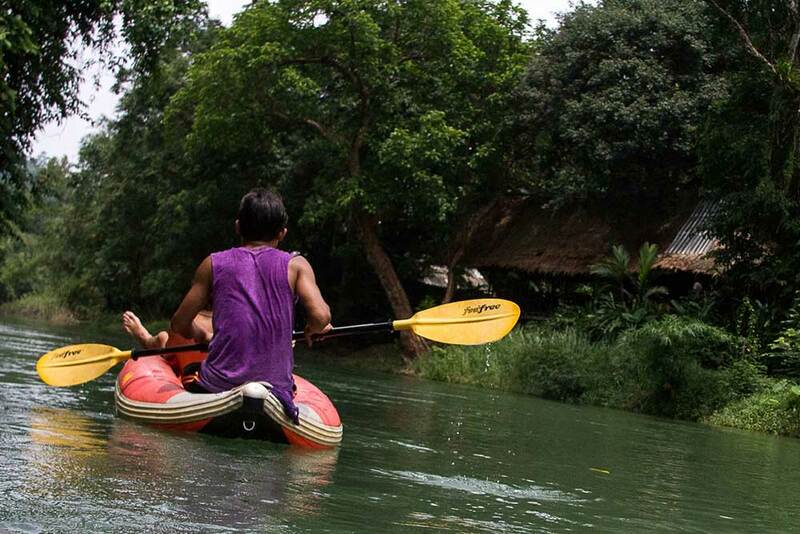 In the afternoon, explore the river by canoe or have a relaxing one hour Thai massage. Spend the night in a Forest Room at Riverside Cottages. 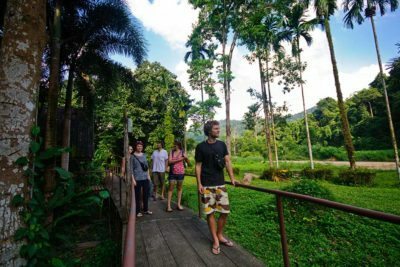 Day 2: Enjoy a full breakfast and go on an overnight trip to Cheow Lan Lake. Joining with a guide and 8-10 other guests, take a boat ride through incredible scenery to a raft house where you will have lunch. In the afternoon, swim in the emerald waters and go jungle hiking or spend some time kayaking. 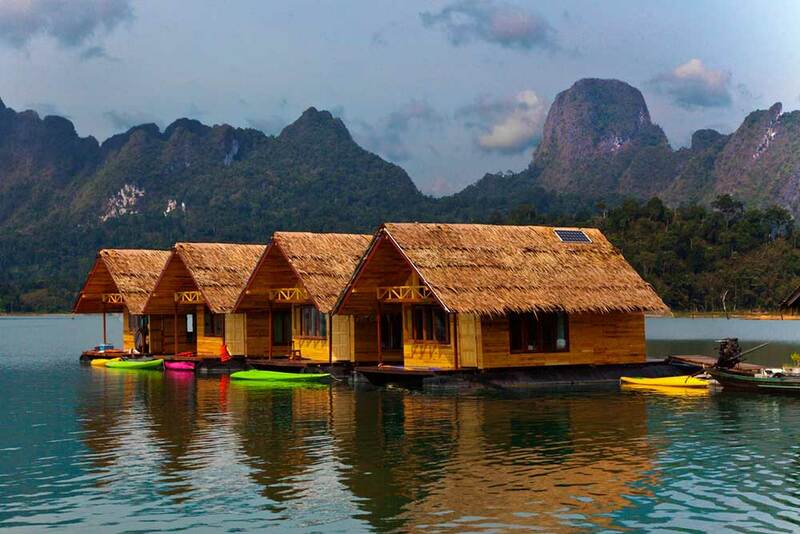 After a fresh dinner (included), spend the night in a floating bamboo bungalow. Please note that these bungalows are very rustic, and there is a shared bathroom (private bathrooms are not available). Day 3: Continue your Khao Sok Lake package tour with an early morning mist safari; look for giant hornbills, monkeys, and gibbons feeding in the trees before breakfast. Check out of your room and relax, swim, or kayak until lunch, then take a boat to Rajaprabha Dam with an optional van back to Khao Sok. Tour ends at 14:00 at Rajaprabha Dam or 15:00 at Khao Sok. 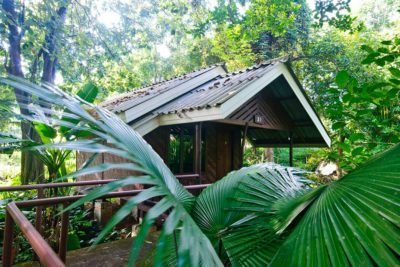 Price is based on double occupancy in a Forest Room at Riverside Cottages (Night 1), and double occupancy in floating bungalows at Cheow Lan Lake (Night 2). 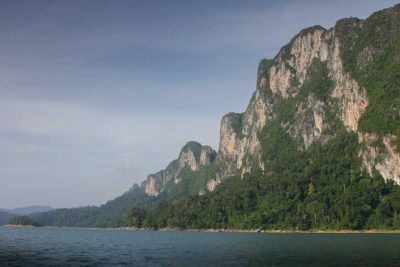 Price does not include entrance fee to Khao Sok National Park. Price includes all meals on Day 2, and breakfast + lunch on Day 3. Single occupancy charge: not available, double room occupancy is required for this tour. 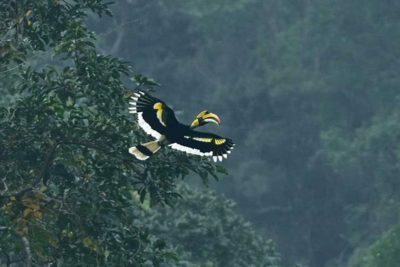 Please visit our blog post: Top Tips for your Cheow Larn Lake trip for more information on the overnight lake trip!